Reverse engineering is mostly used to modify or duplicate an existing product or developing a prototype. In recent times this technique has been made highly effective by use of CAD/CAM packages along with the use of highly advanced data capture devices. In each of the three steps Hi-Tech ensures that only the best results are obtained by using state of the art devices & software handled by the most capable design engineers. This is a very important stage of the process where the designer has to decide which scanned points are to be added or removed and if any improvement is required. The accuracy at this stage determines the success of the final model. 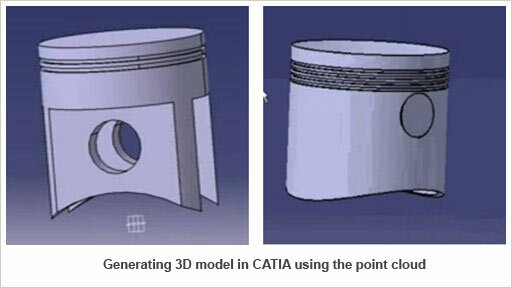 The point cloud thus obtained serves as an input to the CAD/CAM packages. Even after gathering the most accurate data, it ultimately requires the insight of a skilled design engineer to produce a precise CAD model that would lead the next series of analysis. 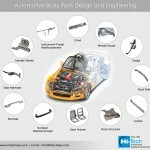 At Hi-Tech you can be assured that only the best design engineers will look after the 3D model generation. In this step Surface modelling and solid modelling is done using CAD software like Pro-E and CATIA using the point cloud. The production cycle time period is brought down significantly. Product life cycle can be increased by making modifications to the obsolete models to suit the new requirements. The cost & resources required are reduced. 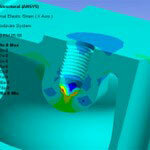 Any design defects can be eliminated before the product enters manufacturing. A detailed production-ready drawing can be obtained. 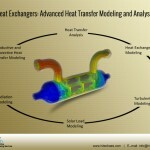 The actual performance of the part can be tested using simulation. At all the stages of Reverse Engineering process, high degree of precision is to be followed. At Hi-Tech a continuous effort is kept to ensure that precise work is carried out during a project & the engineers working are not only accustomed with the software packages but they also have a deep insight on how the solution could work out on practical conditions.